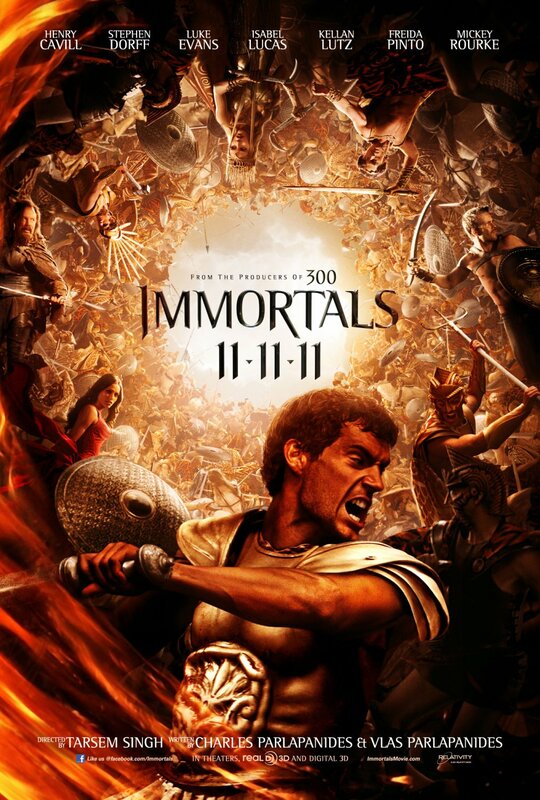 Immortals – The gods need a hero. Screenplay by Charley Parlanpanides and Vlas Parlanpanides. King Hyperion (Rourke) is raging war against Greece and looking for a powerful weapon. Theseus (Cavill) is chosen by Zeus (Evans) to fight King Hyperion and the gods are not allowed to interfere. Theseus is forced to join the war when King Hyperion slices his mothers throat (a little bit of Braveheart). This is truly a boring movie and characters are cardboard cutouts. I was not impressed with anything in this movie except for seeing Phaedra (Freida Pinto) naked and she was absolutely breath taking. Unfortunately, her body was not enough to save this movie. If you liked this try: 300, Sin City, Gladiator.